Oakland is a major west coast port city in the San Francisco Bay Area. It’s known for its sustainability practices, political activism, and professional sports franchises and major corporations. Oakland is the most ethnically diverse major city in the United States. Oakland has an excellent climate with 261 sunny days per year and 22 inches of rain, well below the national average. The high in July is around 72 degrees and the low in January is 43, making it almost perfect. Residents love Oakland for its affordability, predictable weather, relatively stress free driving, and great restaurants. The city has recently earned many accolades, including one of the greenest cities in America, one of the best local food scenes, one of the best cities for coffee lovers, and one of the best cities for international foods. Overall, Oakland is recognized as one of the best large cities to live in. As many people get priced out or simply pushed out of the expensive and competitive San Francisco Bay Area market, they often turn to Oakland. It presents a more affordable alternative with many of the perks residents enjoy about the Bay Area. This trend toward Oakland has in turn made the city’s home values skyrocket as homes sell fast and well above list prices. Sellers are enjoying excellent home values while buyers compete with each other to bid 20 percent above asking price — or higher. There’s no question that Oakland is one of the most exciting real estate markets in America today. No matter what your real estate plans are in Oakland, it’s a good idea to work with a qualified and experienced real estate agent who can help you get the best deal possible. Their expert insight and advice can prove to be invaluable in the extremely competitive Oakland market. If you’re ready to make a move in Oakland, we have great news: there are a number of excellent real estate agents actively working in the area. These agents are experienced, trusted, and have an excellent understanding of the Oakland market. They can help you make the most of your plans in Oakland, whether you plan to buy, sell, or invest. All of the Oakland real estate agents on our list are excellent and would make a great choice for your real estate needs. With that in mind, we’ve listed them in no particular order. But we do want to know which one is the best. Please vote in our poll at the end of this article to let us know which of Oakland’s best real estate agents is the one you trust with your real estate needs. Just be sure to vote right away, as the poll will expire in 30 days! Jackie Care is a real estate agent with Pacific Union International in Oakland. She has more than 15 years of experience in real estate. Care believes that buying and selling should go beyond cookie cutter service. She takes pride in consistent positive feedback and is always sure to show that she truly cares about her clients. Care is committed to offering personalized attention and remaining an active resource long after the transaction closes. Covering a wide variety of price ranges and neighborhoods, Care personally visits 40 to 50 homes every week. She stays on top of the local inventory to offer superior service to buyers and sellers alike. Care is a member of the National Association of Realtors as well as the Oakland Association of Realtors. Clients say working with Care is excellent. They appreciate how well she takes care of the details of buying or selling a home while also dealing with their questions in a timely manner. They say she delivers a great experience with calmness, understanding, and unparalleled ethics. Clients trust her with their most important decisions and find her to be kind, patient, and informative. Michele Senitzer is a Realtor with Red Oak Realty in Oakland. She has lived in Oakland and Berkeley for more than two decades, giving her an extensive knowledge of the neighborhoods in the area. As a Realtor, Senitzer focuses on giving each client individualized attention with exceptional service, clear communication, a sense of humor, and attention to detail. She is a good listener, a fearless and tenacious negotiator, and always responsive with clients. Senitzer is ranked among the top 3% of real estate agents in Oakland and the top 6% for the East Bay. She is a 2015 Top 5 Agent with Red Oak Realty and a former Top Producer with Prudential Oakland. Clients find Senitzer to be a true professional with a real personality. They love that she’s always available to help them and feel that she always has their best interests in mind. Senitzer makes every client feel important, explaining everything they need to know — and making sure that she’s always in their corner. Bill Charman is the founder, managing partner, and broker owner of Gimme Shelter in Oakland. His boutique real estate agency has served the San Francisco Bay Area since 2003. In his role at Gimme Shelter, Charman is a buyer’s agent and listing agent with special interests in short sales and international buyers. Charman comes from a family of brokers with specialized experience in investment, management, and construction. With every transaction, he brings his superior industry expertise as well as a love for the deal. A superior negotiator, Charman has spent more than 18,000 hours negotiating professionally. Clients say Charman makes their dreams come true. They call him a master of navigating the process as he patiently guides them through buying or selling a home with ease. They find him to be an exceptional broker with excellent knowledge, honesty, and patience. They also love his sense of humor and what they say is a perfect blend of optimism and realism. 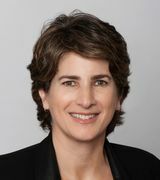 Kim Cole is owner of Kim Cole Real Estate in Oakland. She and her firm have more than 25 years of experience in local real estate. With in depth knowledge, strategic insight, and a broad range of experience, Cole and her team are uniquely poised to serve every client effectively. 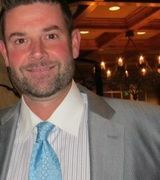 Cole specializes in Oakland condo sales and single family homes. Every step of the way, Cole and her team do their best to match every clients preferences with their home or investment with true transparency and timely communication throughout the entire process. Cole has an excellent track record of achieving ideal results for thousands of clients in the East Bay area. Clients say Cole is a pleasure to work with, offering responsive, open communication. They’re impressed by how well she knows the area as well as the entire real estate process. Mike Rickey is a real estate consultant with Rickey Realty Group. He has more than 13 years of experience in real estate and is an East Bay native. He’s lived in Oakland for more than 20 years. As a real estate professional, his goal is to be an advocate for his clients, putting their interests as their top priority as he provides them with unbiased advice. Rickey focuses on residential and residential income properties including single family homes, condos, and lofts. He also focuses on marking multiple units for Oakland developers. For every client, Rickey is proud to guide buyers, sellers, and investors through the transaction with a smooth closing. Clients say Rickey is an excellent agent who goes above and beyond to serve them. They find him to be knowledgeable, patient, and professional with excellent advice. Every client feels he is on their side and that he carefully addresses their individual needs. Varnell Owens is an associate broker with Varnell Owens Real Estate Company in Oakland. She has more than 39 years of experience representing buyers and sellers in the Bay Area. With a long track record of getting results, Owens is known for being trustworthy, knowledgeable, and client focused. Her negotiation and consulting skills are excellent as she serves every client from first time home buyers to diversifying investors. Owens holds a number of professional designations and memberships including Graduate of the Realtor Institute, Certified Distressed Propery Expert, Five Star Institute REO A-Z and Marketing REO Properties, and membership in the Oakland Association of Realtors, California Association of Realtors, National Association of Realtors, and the National Notary Association. Clients say Owens is customer focused and extremely knowledgeable. They are impressed by her ability to negotiate a fair deal and keep them fully informed every step of the way. Owens is always ready to answer questions with superior real estate knowledge and professionalism. Cameron Platt is a real estate agent and founder of Abio Properties in Oakland. He has more than 12 years of experience in real estate. A native of the East Bay, he is intimately familiar with Oakland’s neighborhoods and real estate market. With Abio Properties, Platt works to make the real estate experience more open and positive for all parties. 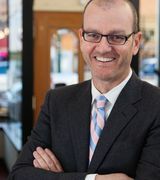 He delivers a collaborative, straightforward approach to real estate with honest interactions and a focus on the client. 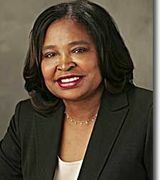 Platt is a Certified Residential Specialist and a former president of the Oakland Association of Realtors. He is also a director of the California Association of Realtors and sits on boards and committees with the National Association of Realtors. 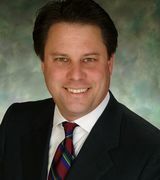 In addition to experience in real estate, Platt has a law degree and experience in litigation. Clients say Platt is a true professional who makes them feel comfortable buying or selling a home — and making good decisions every step of the way. They feel he goes above and beyond and truly understands who they are and what they’re looking for. Clients value his expert knowledge, negotiating skills, and ability to make buying or selling a home less stressful. 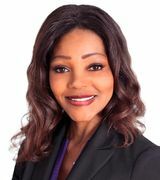 Linnette Edwards is an associate broker, Realtor, and partner with My Housing Guide in Oakland. She has more than 14 years of experience and has been passionate about real estate long before she was old enough to get a real estate license. Edwards is a buyer’s agent and listing agent with special interests in relocations and consulting. She is driven to excel by her clients and she is always concerned to make sure they’re taken care of and always experience the best results. Edwards is laid back and becomes long term friends with many of her clients. However, she is also a tough negotiator and delivers results for her clients. She is proud to promote an open, healthy, and positive working relationship in real estate. Clients say Edwards is an exceptional agent, knowledgeable, straightforward, ethical, and to the point. They find she always offers advice that is exactly on point and is able to deliver great service without a lot of management or hand holding. They know they can count on her to get it right every time while bringing lots of value to the buying or selling process. 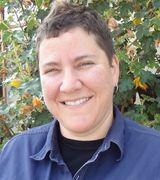 Martha Hill is a Realtor in Oakland with more than 12 years of experience. She has an excellent reputation in the Oakland Hills and surrounding areas for excellence in client care. Hill brings natural enthusiasm and energy as well as organizational strength to every transaction. She take pride in making sure all of her operations run smoothly with excellent client service, consistent communication, and an eye for detail. Hill grew up in Oakland and has a superior knowledge of the market as well as the community and neighborhoods. 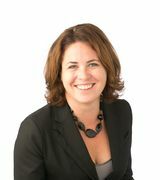 She also continually studies properties to stay on top of market trends in Oakland’s ever changing market. Happy to wear many hats, Hill seamlessly transitions from service to negotiation and project management. Throughout the process, Hill is careful to communicate regularly to keep the entire transaction on track every step of the way. Clients say Hill is an excellent real estate agent who is able to deliver even in a crunch. They find her to be professional, prompt, and courteous. And they’re impressed by her local connections and ability to deliver results. Gaylen Roberts is a Realtor, investor, and designer with the Gaylen Roberts Group in Oakland. He has more than 12 years of experience in real estate. With an entrepreneurial attitude and a diverse background, Roberts is able to effectively serve a variety of clients with innovative problem solving and excellent service. Through his interactions, connections, and partnerships, Roberts has a positive and lasting impact on the communities he serves. Roberts practices real estate full time and engages in architecture design on a per project basis. He holds a number of honors, including participation in the Solar Decathlon and the U.S. Green Building Council Project Home Competition and the Visionary Sustainable Designer award. Clients of Roberts say he is a dream to work with. They appreciate his proactive, informed approach as well as his realism and ability to tell them what they need to hear — even if it’s not what they want to hear. Clients say he is savvy, ahead of the curve, and delivers extraordinary results with a warm and personal experience. Joy Anna Mercedes is a Realtor and broker associate with Eden Hearth Fine Properties in Oakland. She has more than 12 years of experience in real estate and more than 30 years in marketing and sales. A buyer’s agent as well as listing agent, Mercedes specializes in residential and multi unit properties. Mercedes greatly values her clients and does everything she can to make the process of buying or selling a home an enjoyable one. It’s her goal to make sure every client has an understandable, pleasant, and effective experience. 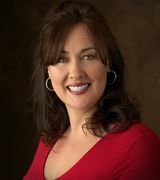 She considers her responsibility of helping clients make big decisions in buying and selling real estate a true honor. With the ability to speak Spanish, German, English, and some French, Mercedes has been dubbed the United Nations Realtor, working with clients of all ethnicities to reach their real estate goals. Clients say they enjoy working with her and appreciate her responsive, honest service. They can tell how much she loves what she does and are impressed by her ability to get the job done. They say she keeps her cool, offers responsive service, and works hard to help them meet their goals in real estate. 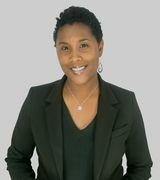 Tamika Ellsworth is a Realtor with Equity One Real Estate in San Jose. She has more than 16 years of experience and specializes as a buyer’s agent and listing agent. A full service professional, Ellsworth works with condominiums, foreclosures, mortgages, new homes, relocations, residential, residential investment, residential property management, short sales, and single family homes. Her favorite clients to work with are first time home buyers, investors, all buyers, and especially veterans. She holds a number of designations including Accredited Buyers Representative, Military Relocation Professional, and Military Residential Specialist. Ellsworth is proud to serve military families with home buying and selling needs. She is also active in the community, volunteering with Habitat for Humanity as a professional carpenter and founding Rize Above Media, a non profit at risk youth media program. Additionally, Ellsworth has served as the membership chair for the Women’s Council of Realtors Tri Cities Chapter. Ellsworth’s clients say she is incredible to work with, even in the Bay Area’s intimidating market. They believe she truly cares about them as she offers knowledgeable, professional, and positive real estate service. She works hard for them and works positively with all involved to make sure her clients walk away with the best deal possible. 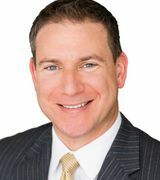 Daniel Winkler is a real estate professional and founder of Daniel Winkler & Associations in Albany. He has 24 years of experience in real estate and specializes as a buyer’s agent and listing agent with interests in foreclosures and property management. Winkler’s experience includes all phases of real estate marketing and development, including new home communities and helping clients buy and sell homes. In his experience, Winkler has sold more than 2,000 condos and single family homes in the Bay Area. Daniel Winkler & Associates typically closes nine figures in sales annually. Clients say Winkler and his staff are a pleasure to work with. They note he is extremely knowledgeable, patient, and well informed about the entire process. They say Winkler is there to support them the whole way through with superior knowledge of the area, market, and what it takes to succeed in Oakland real estate. 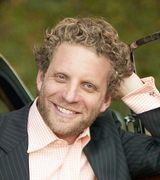 Daniel Stea is a broker, founder and managing attorney of Stea Realty Group in Berkeley. He has 19 years of experience in real estate and is one of the few real estate attorneys to also found a brokerage. Stea devotes his time to buying and selling properties for his clients as well as managing Realtors who work with his company. He is active in the local real estate community, sitting on the board of directors of the Berkeley Association of Realtors as well as the Berkeley Chamber of Commerce. He is a member of the Berkeley Breakfast Club and a graduate of Leadership East Bay. 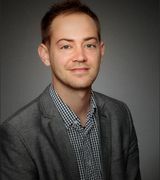 Stea is also the executive director of EnvisionUSA.org, a nonprofit tasked with educating the public about disadvantaged social groups. Clients say they enjoy a successful experience with Stea, who is professional, confident, and friendly. They trust him and appreciate his knowledge of the local market. They’re impressed with his timing, ability to close quickly, and especially his sense of humor. Stephanie Christmas is broker and owner of Six Degrees Realty in San Leandro. 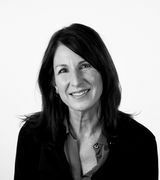 She has represented buyers and sellers throughout the Bay Area for more than 15 years. Since 2008, she has been the owner of Six Degrees Realty. A longtime Oakland resident, Christmas is extremely knowledgeable about neighborhoods, nuances, and culture. She offers expertise in real estate for every client from first time home buyers to seniors transitioning their real estate. And she is a shrewd and conscientious negotiator. Clients of Christmas say she is well informed, knowledgeable, and professional. They feel comfortable working with her and enjoy her personable demeanor. Every step of the way, she is responsive and always makes sure to explain things clearly and verify their understanding. And her clients say she makes the process as smooth and simple as possible, even when unexpected issues pop up.